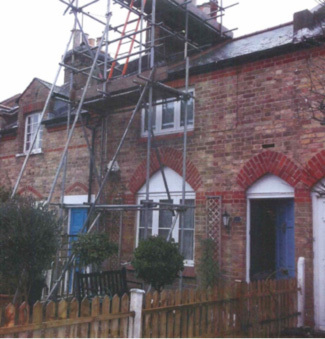 Recently completed damp proofing to a beautiful cottage in Putney. Built in the 1860’s these cottages were built as labourers houses on the land belonging to the pest house charity. 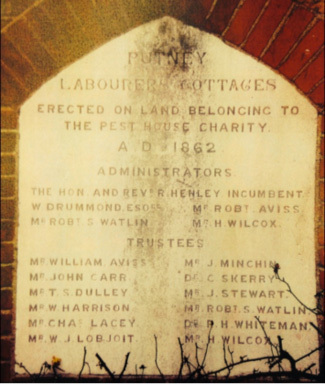 Most likely dating back to The Great Plague of London 1665-1666 where ‘pest’ houses were built to house those affected by the plague hence there name ‘pest’ houses shorten from pestilence, the term for a fatal epidemic disease particularly bubonic plague. Kenwood’s highly trained staff have installed a new chemical damp proof course and carried out the essential associated waterproof re-plastering leaving these areas free from dampness. With Kenwood’s full written 20 year guarantee our clients can rest assured they are fully covered.